I was needing a large calendar to keep track of all my appointments and this one is just perfect!!! I bought two of these, one for me and one for my neighbor for Christmas. She had seen it earlier and said she would like to have one!!! I use it to keep my appointments on it each month. The boxes on it are the right size to write my appointments on. Wonderful for family organizing. Bright and attractive. One for us and one for welcome gift every year! Really like this calendar. Big numbers, easy to see. pretty to look at, yet perfect for a busy family with many appointments on the same day. Useful, pretty, I love it!! YOU WILL LOVE IT !!!!!!!! I use this calendar to write all my appointments on. There is plenty of room on each date to make multiple notations. 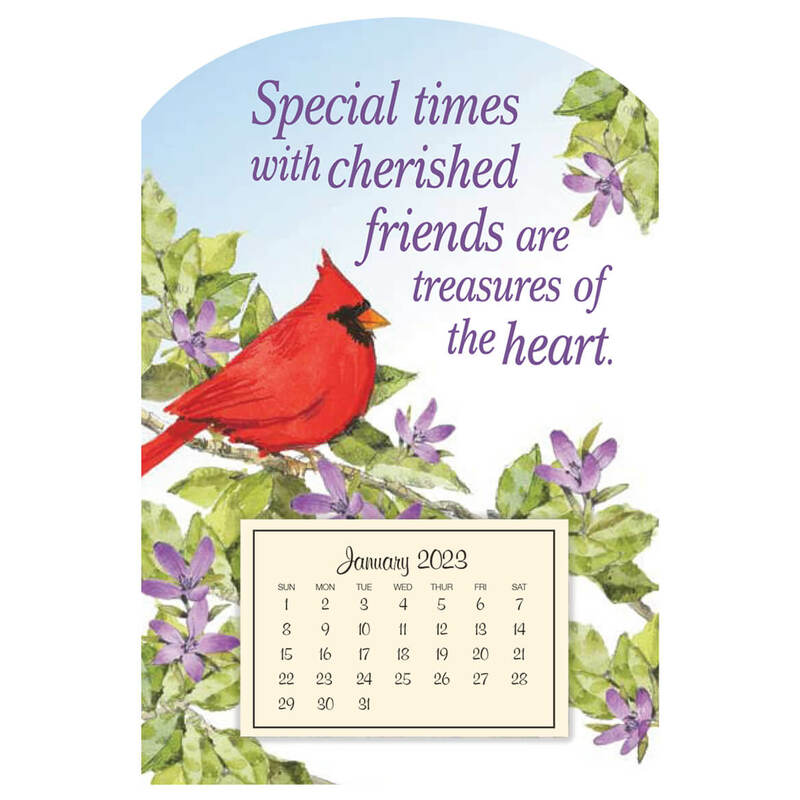 For years and years, it has been a tradition in our family to give these calendars to my sisters and myself. 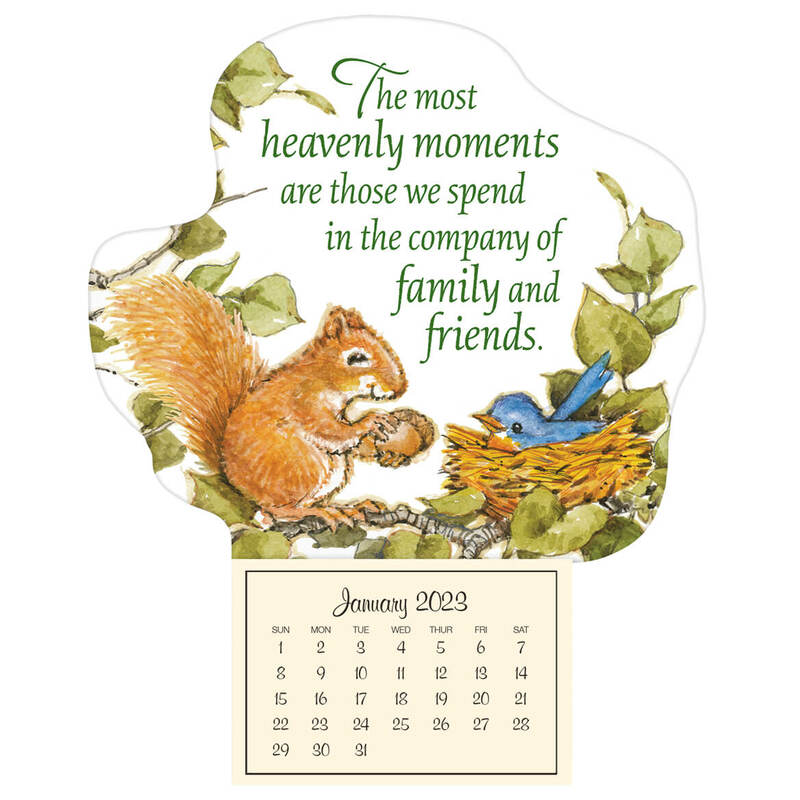 When my dad passed away 13 years ago, I took over ordering these calendars for our family--and I'd hate to think what would happen if I ever forgot to get them. Last year was the first year that I ordered the calendar that had the artwork and slogan at the top. I enjoyed the uniqueness of it so much that I bought the same one this year. I will say though that, when my children were growing up, I used the calendar much more often, to keep up with all of their activities as well as my own and their dad's. Perfect calendar - order one every year! Using a pencil to allow for editing is impossible on all the free calendars and most that you buy. They all use glossy paper. The size of each day is perfect for all family commitments. Use for appointments & reminders. It looks great on my wall where it is easily accessible. I tell my friends how nice it is and easy to use. I order one every year I like it so much. Thank you. I write birthdays on these and give them as gifts. My sister and friend loves it. Very helpful to them. Large space for daily events and appointments. I love this calendar. I can write more than one thing in a day on it. It is large enough and fits perfect on my door. Great product. I love this calendar. Large boxes to write appts. I hang this in a pretty wrought iron calendar frame with basket that I bought from you years ago, so it's useful in keeping me organized about upcoming appointments & events and it's also very attractive. I have been ordering these calendars for myself and a friend's office for many years. There is plenty of room to write in each day. Really like the view of the previous and following months. The size of the overall calendar is just perfect for my kitchen wall. I love being able to see the first 2 weeks of the next month ahead. It really helps when making appointments. I hang it on the kitchen door & can be easily seen from the living room. I have been getting these for a long time, and my friends all get 1 for Christmas (at their request). Love this one !! Thank You for making it available !! I enjoy the large date squares, can put so much in each one. I like the size, easy to see at a glance, much better then smaller calendar's. I thought I could get along with a calendar someone gave, but it just wasn't the same. I love this calendar for appointments and I write all my birthdays and anniversary's on it. "I would buy this product again "
bought these for Christmas presents, everyone loved them. After my father's death in 1997, I took over the duty of purchasing these calendars for my sisters and myself as Christmas gifts. Though not expensive, they are a highly valued acquisition each and every year. What I also like about these particular calendars are the illustrations at the top of each page. Those were not offered (as far as I know) when my dad bought them each each. 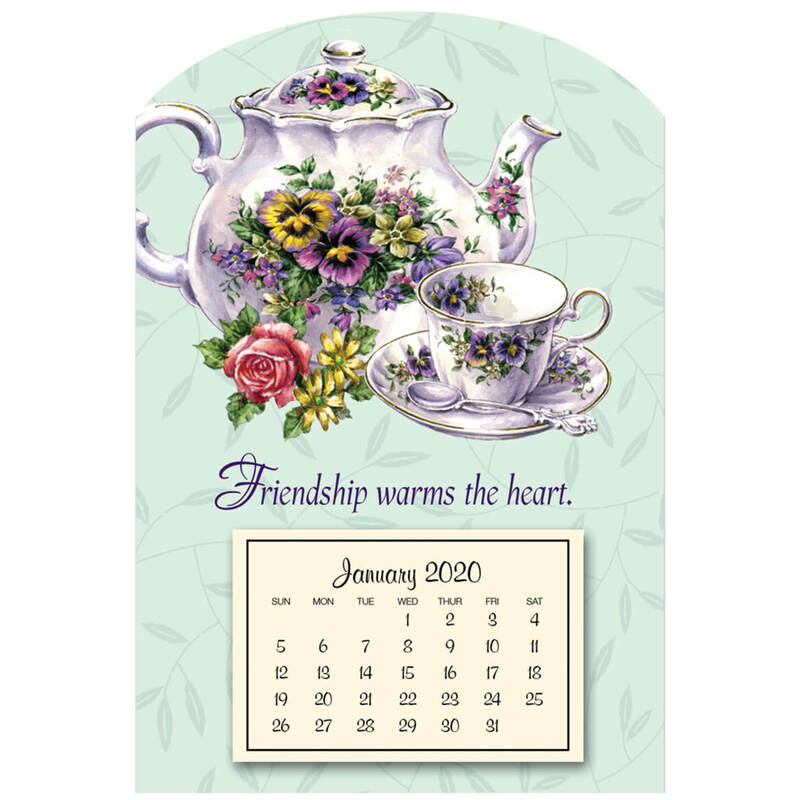 I don't mind paying a little extra for something that will be pleasant and cheerful to look at each day, along with the usefulness of the calendar itself. Great Size ! Thank YOU ! This calendar is my all time favorite! I use this giant wall calendar on my kitchen wall, where I'll be sure to see all my up-coming appointments and notes for the entire month, at a glance. Each day has enough space to write plenty in it. I buy this particular calendar every year! Thanks for the nicest calendar! I order these calenders every year for all the nieces and my sister for Christmas. We all have busy lives, and it helps keep track of appointments, ball games, and other activities. I think they would be disappointed if I didn't buy them as gifts. Good price ordered after Christmas and it was marked down!!! I finally have enough space on the calendar to write in all the things that keeps us busy! With 3 of us to keep track of things for, this is great! I LOVE MY CALENDAR !!!! I HAVE HAD ONE FOR AT LEAST THE LAST 35 YEARS. IT KEEPS ON TIME AND ON TRACK SO THAT I DO NOT FORGET THINGS. IT LOOKS PRETTY HANGING IN MY KITCHEN. Nice & Big & Thank You ! Have it on the back of my front door. I do not drive ! I catch a Whistlestop Bus, this calendar gives me the chance to write on the calendar what my times are for the next day. So I can be ready to go for the day ! I have been getting these calendars since the early 1990s they are very useful! I buy these calenders every year as gifts for the women in my family. They are great to record kids schedules on!! Love these!! This is the 2nd year I have purchased this calendar. I hang it on the wall, at my mother's bedside. It's pretty and useful. She can see the date (I "X" out each day, as it goes by), and the squares are large enough to write in appointments, doctor's names, etc. This is the type of calendar I buy every year. It's great for all members of my family to use because of the large spaces to write in! You can see at a glance just what is happening for that particular day. when you get older you have more doctors appointments etc. This is so easy to use with space for all my needs. Beautiful at the same time as meaningful. I have used this giant calendar for over 30 yrs. Thank you for stocking it. I've not found it anyplace else. It was the biggest hanging wall calendar I could find. Always order one of these as I like the size with spacve to write on them. 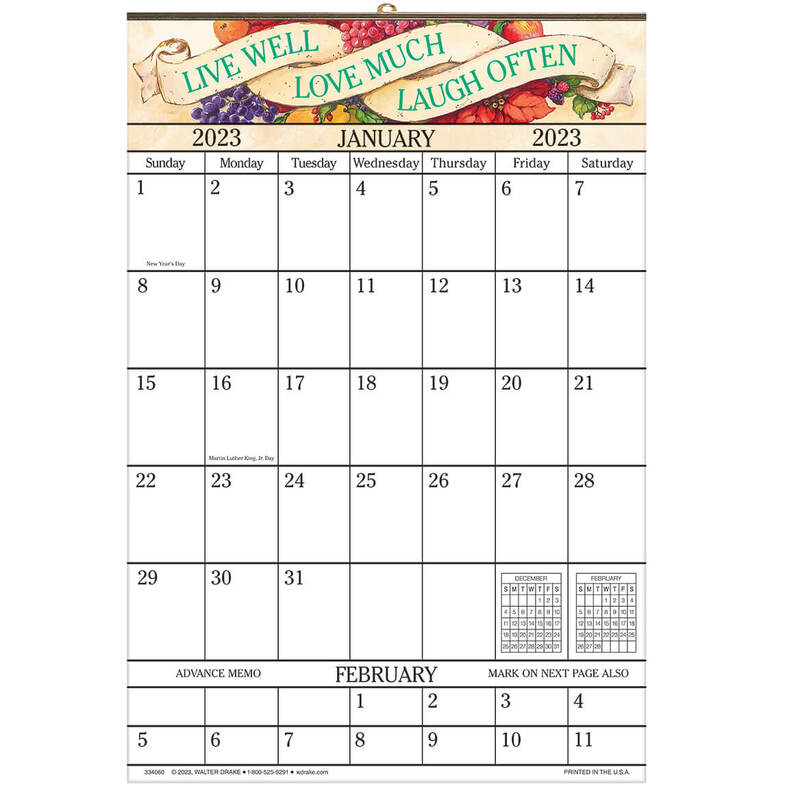 I need a large calendar in my kitchedn to keep track of everyone These calendar fits that need. I liked it and I needed a bigger calendar and longer. Worked just fine. I have used this calendar for many yrs. Lots of space for lots of activities. And it matches my kitchen perfectly. 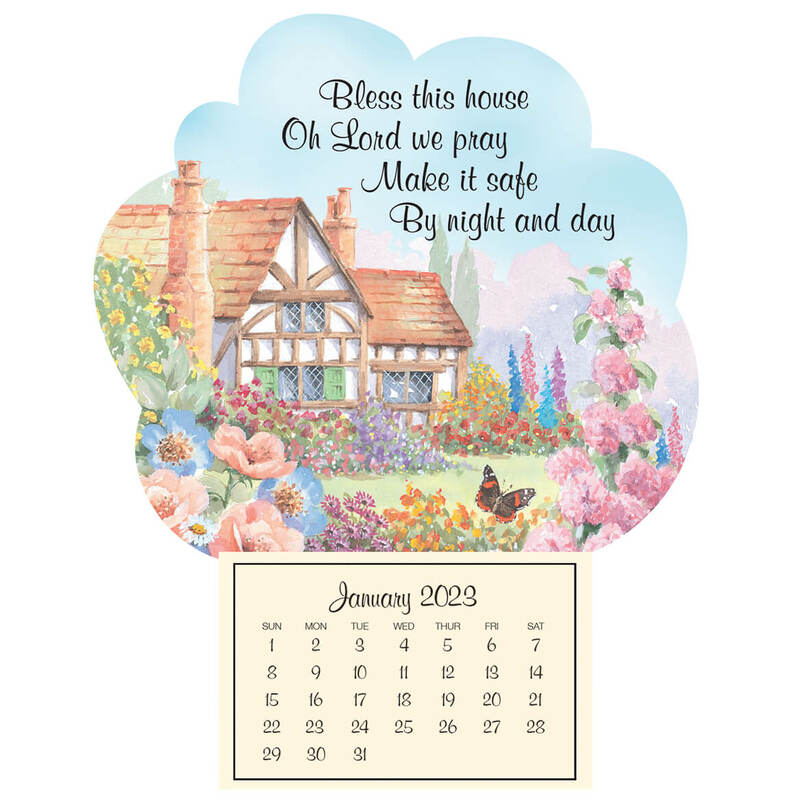 We are use this calendar to keep track of everyday events and times. Large size is easier to see. I USE THIS CALENDAR EVERY YEAR AS IT IS EASY TO PUT BIRTHDAY AND APPOINTMENTS ON IT AS IT IS LARGE ENOUGH. Good size for tracking appointments. I have used this particular calendar for the past 4 years. Just the right size for my purpose. I'll need a calendar for the new year (2017). It's enough space for jotting down appointments or notes to yourself. The heading is a great reminder of how to live your life! it's really handy to have on the wall big enough to write several things on one date. all my daughters look for it every christmas! 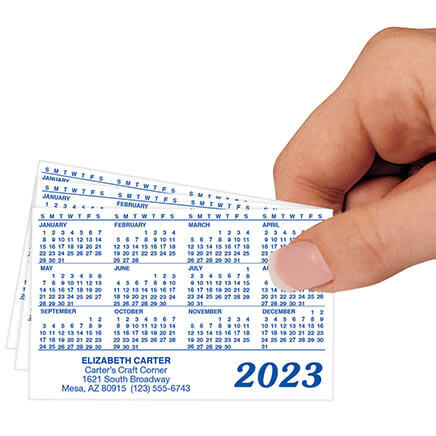 I use these every year to write my appointments on. Much easier to see then regular calendars. Live, Laugh, and love again. Always have to write things down so I don't forget. To give to my daughter so she will know when birthdays are due. Enjoyed the large calendar last year. I give them as gifts to family members at Christmas. They love them! We write our appointments on the calendar, movies things for school and work. For my daughter to keep her family's busy schedule on. Great size for writing things on and inspirational. Get this calendar every year. Love it. Very easy to keep track of appointments & special dates. I GET ONE OF THESE EVERY YEAR AND PUT IT ON MY REFRIDERATOR! THESE ARE GREAT!. reminds me of what life is all about!! My most favorite saying and perfect with my kitchen design. Love this product. We have ordered it for several years. It helps us keep track of our lives a lot better. We put all appointments and special days on the calendar so we won't forget them. It looks attractive with more colors and has the room to write on just like the giant Calendar I usually buy every year, so I decided to try it just for fun. Is this a 2019 calendar? BEST ANSWER: Thank you for your question. Yes this is a 2019 calendar. We hope this information will be of help to you. BEST ANSWER: Thank you for your question. Unfortunately no this is not magnetic. We hope this information will be of help to you. Does this Calendar show holidays/special mention days? BEST ANSWER: It shows regular holidays such as Martin Luther King, Lincoln’s BD, Groundhog Day, Ash Wednesday etc.... it does not show National ice cream day, donut day, left handers day etc..... Hope that helps. Nice size though for adding all your important dates. Yes. All holidays and special mentions. Special mentions include: Groundhog Day; Daylight Saving Time Begins; Spring Begins; April Fool's Day, etc. Large print, you won't miss a thing! Yes, holidays/special days are noted on this calendar. are these calendars paper or plastic? BEST ANSWER: Thank you for your question. The boxes are 2" x 2 3/4". We hope this information will be of help to you.